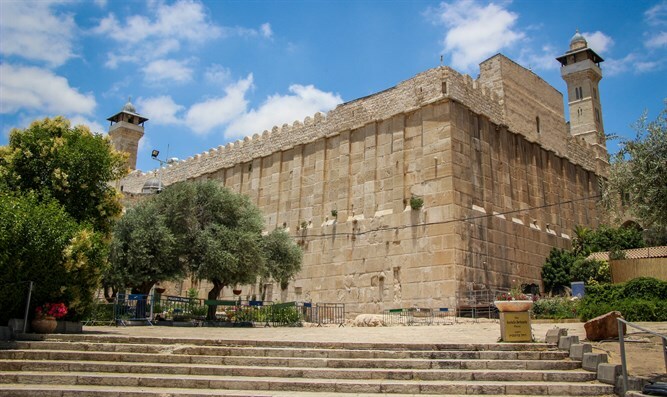 Second attempted stabbing at Tomb of the Patriarchs in one day thwarted by Border Police. An Arab terrorist in possession of a knife was arrested Wednesday at one of the inspection posts near the Tomb of the Patriarchs in Hevron. The terrorist, a resident of the Arab town of Dahariya in the Hevron area, raised the suspicion of the Border Police officers stationed at the checkpoint. The officers asked him to pass through a metal detector, which alerted them to the fact that there was a metal object hidden on his person. The terrorist refused to empty his pockets following the metal detector test and drew the knife instead. The officers immediately raised their weapons and arrested him before he could stab any of them. The suspect was transferred for preliminary questioning, which revealed that he intended to carry out a terrorist attack against the officers. Another terror attack was prevented at the Tomb of the Patriarchs Wednesday morning, when Border Police officers arrested an Arab who approached one of the inspection posts near the cave with a knife in hand.